Amid tensions in bilateral ties, American Congress has passed a bill to cut Pakistan’s defence aid to $150 million. After signatures of US President Donald Trump, the bill will hold the status of law. 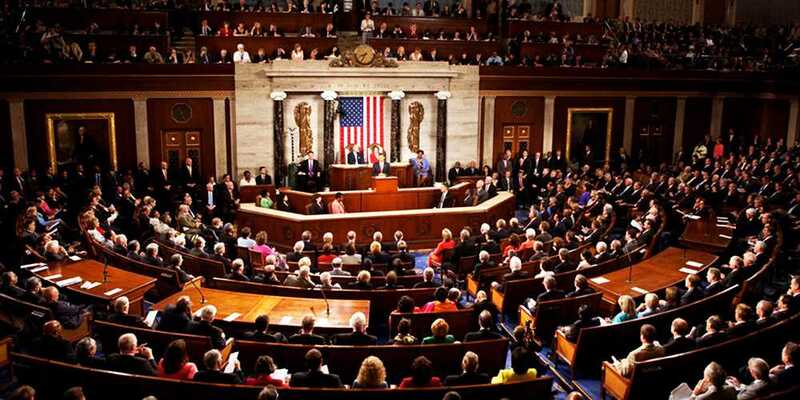 As per details garnered, the US Congress on Tuesday approved a $716 billion defence authorization bill to cut Pakistan’s defence aid from $750 million to $150 million. This military aid is given to Pakistan in order to maintain its border security. However, the reduction in the defence bill is made after the allegation of using US aid in operations against Taliban. The Senate passed the conference report on National Defence Authorization Act (NDAA)-19 by 87 to 10 votes, last week. The bill then was sent to president Trump seeking his assent. Last year, US defence bill had authorized a significant aid of $700 million for Pakistan under Coalition Support Fund (CSF) that has been reduced now. The defence policy bill backs President Donald Trump’s call for a bigger, stronger military and sidestepping a potential battle with the White House over technology from major Chinese firms. The annual act authorises US military spending but is used as a vehicle for a broad range of policy matters as it has passed annually for more than 50 years. US Secretary of State Mike Pompeo warned on Monday that any potential International Monetary Fund bailout for Pakistan’s new government should not provide funds to pay off Chinese lenders. Pakistan, however; has dismissed U.S. concerns that any new International Monetary Fund bailout for the South Asian nation would be used to repay Chinese debt as “totally wrong”.